The benefits of soaking in Epsom salts include improved blood flow, decreased swelling, and decreased inflammation. I spend a large part of my day examining toenails and as a consequence, feet. So many of us have complex self-care rituals for our face and hair, or adhere to strict diets and exercise routines to stay fit, but when it comes to our feet it is common to neglect them and leave the maintenance solely to the professionals. While regular professional pedicures are essential, feet must be cared for in between treatments. One of the most often neglected parts of good foot maintenance and hygiene is to wash thoroughly. It may sound obvious, but many people just let the soapsuds run down in the shower and hope that it will somehow penetrate between the toe web spaces and lather the soles. In reality, feet need to be cleaned especially thoroughly, as they have many physiological characteristics that differentiate them from other areas of the body and make them a unique habitat for supporting microbes, including odor-causing bacteria. In fact, studies have shown that even pre-operative surgical scrubs are not always entirely effective at eradicating bacteria from the feet! Once feet are clean, there are two essential steps for good foot care. The first is exfoliation. Removing dead skin and callus from the feet is a critical treatment step. Calluses occur from friction and are largely due to the biomechanical properties of how our feet make contact with our shoes. It’s OK to leave some callus, as aggressive removal can lead to bleeding and pain. Removal should never hurt and should not be performed with a blade of any kind. Callus is best removed mechanically with abrasives. I am not a fan of pumices as they can harbor all sorts of bacteria and molds once they become wet due to their porosity. If you are going to use pumice, purchase it inexpensively in bulk, use it once, and dispose of it after use. You can also use a foot file with removable grit. Add an exfoliating scrub to this step and feet will finish baby soft. A practical way to exfoliate feet is to do it in the foot bath — or bathtub, if the client is soaking at home. Clients can use their favorite scrub and look for ingredients such as high-quality derived sea salts, which are a rich source of magnesium and other minerals and great for sore, tired feet. Epsom salts are a mineral compound composed of magnesium and sulfate. Interestingly, not actually a salt, they are named for a bitter saline spring at Epsom in Surrey, England. Numerous studies have shown that magnesium sulfate soaks are effectively absorbed through the skin. The benefits for feet include improved blood flow, decreased swelling, and decreased inflammation. In contrast to Epsom salts, sea salt soaks theoretically contain additional elements beyond just magnesium, including chloride, sulfur, sodium, calcium and potassium as well as trace minerals. The effectiveness of sea salt soaks is more difficult to quantify as these products vary tremendously in their compositions due to different harvesting methods. The next step is proper hydration and callus prevention. For this step, I suggest using a cream that contains urea. Urea dissolves the intercellular matrix of the cells of the stratum corneum and thus it acts as a very efficient dead skin remover. Importantly, this step will prevent new callus from forming. Most creams containing urea are available by prescription, but there are a few over-the-counter options. Once callus is removed, using an effective daily moisturizer is essential for callus prevention. I am a huge fan of shea as a moisturizer and particularly for the feet as it acts as a barrier for the skin and really helps to seal in moisture. Additional ingredients, such as lavender oil, create a calming and relaxing before-bed treat for the feet and the user. I also like the Cerave SA Renewing Foot Cream for the same reasons that I like other Cerave moisturizers — it is packed with ceramides and hyaluronic acid, thus mimicking the skin’s natural lipid barrier. Now that feet are baby soft, let’s turn our attention to the toenails and specifically to the age-old question of whether or not to remove the cuticle. The cuticle is the nail’s natural protective seal. It is an amazing anatomical membrane that protects the entire nail unit from the entry of water and consequently organisms. An analogy would be the grout in your shower between your tiles. Without that grout, imagine what would grow if water seeped in between! The best way to groom toenail cuticle is to give your feet a thorough soak in order to soften the cuticles and then to push the cuticle back with an orange stick or cuticle pusher. Any excess hangnail can be snipped with a sterile, sharp cuticle nipper. When it comes to trimming the toenails, nails are best cut straight across rather than on a curve, as this will prevent embedding or ingrown nails (onychocryptosis). In other words, a square shape would be preferred to round, although squoval (square with a bit of filing on the edge) would be OK too. What about the new wave of foot masks? There are two general categories for these new foot masks. The first is the foot peel category, which includes products like Baby Foot that contain alpha hydroxy acids and lactic acid in varying concentrations and formulas. These foot peels can be quite effective at helping to remove layers of dead skin and are chemically similar to the peels we dermatologists use on facial skin. Foot masks tend to fall into two categories: those that provide hydration and those that remove dead skin. The other category of foot mask is those that primarily provide hydration and are similar to the plethora of facial masks that are on the market. As consumers in Western society we have many choices and it really comes down to delivery in this case. Do you prefer to moisturize in a more traditional manner by rubbing a heaping scoop of rich moisturizer from a jar directly onto your foot? Or do you love the self-care aspect of applying something that is more of a mask? One way to increase absorption of any product on the feet is to wrap the feet in Saran wrap after applying the moisturizer, and then to stick your feet in a sock and go to sleep that way. If you are noticing that you are experiencing more foot pain, excessive callus, or bruises on your toenails, it is very possible that your shoes are not fitting properly. Anyone with young kids has observed the rapid growth of feet and the consequential need to be constantly buying new shoes. (Thank you Zappos!) Many adults don’t realize that our feet change too. Shoe sizes consequently change and unlike kids, we rarely have our feet formally measured. At one point in time you may have been a size 8, but may now be an 8.5 or even a 9. When my patients experience biomechanical-induced nail and foot issues I recommend that they have their feet measured, as it is very likely that a poorly fitting shoe is contributing. In general, shoes with a somewhat wide toe box are ideal. “Reasonable” shoes do not have pointy toes, nor do they have super high heels. Arch support is also important, especially for longer walks or activity. In my practice I find that many adults don’t realize that their feet have changed considerably over the years and are buying the same size that they were told they measured 25 years ago. What other measures can contribute to healthy feet? Going barefoot! This is a fascinating topic and one that is definitely not in the dermatology textbooks. This concept is referred to as “grounding” or “earthing” and refers to the idea that humans evolved in direct contact with the Earth’s subtle electric charge, but today, because we tend to wear shoes and to work and live in buildings with floors etc., we have lost that sustained connection to the earth. This may sound very “new age,” but from a scientific perspective, if we think of about the fact that the earth’s surface gives off a negative charge, this grounding or earthing theory may make sense. The reason is that our bodies are composed of atoms and when these atoms lose their neutral charge they become what are called “free radicals.” You can think of free radicals as positively charged cell destroyers. They contribute to inflammation, disease, and malignancy. These positively charged free radicals can be theoretically neutralized by the negative charges that we come into contact to on the earth’s surface. In essence, walking barefoot is a natural antioxidant “treatment” of sorts. There is other evidence that physical contact with the Earth’s surface can assist in the regulation of the nervous system and keeping our circadian rhythm in check (things like hormonal levels, body temperature, digestion, and the day/night cycle). All of this of course helps to improve stress, sleep, and health in general. What is the evidence? There have been many clinical studies done in the lab that have demonstrated beneficial physical changes when participants are grounded. These studies however, are not done outside in nature and tend to be small and there is little research to date on the effects of grounding in nature and whether it results in the same positive effects. The best way to “ground” or “earth” is simply to allow your skin to be in contact with any natural conductors of the earth’s electricity. It doesn’t have to be your feet, although walking on grass, soil, sand, or gravel would be an easy way to accomplish this. You can even touch the soil with your hands or swim in the ocean or any natural water source. The length of time for effective grounding is not established, but my sources suggest at least 30 minutes. Dermatologists treat skin, hair, and nails. 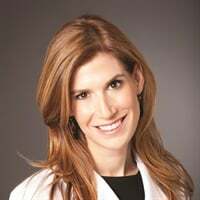 I am a board-certified dermatologist and I specialize in the treatment of nail disorders including nail infections, inflammatory diseases of the nail, cosmetic issues related to the nail, cancers of the nail, and sports- related nail injuries. I also perform surgery on the nail including biopsies and excisions. Interested in reading more about foot care? 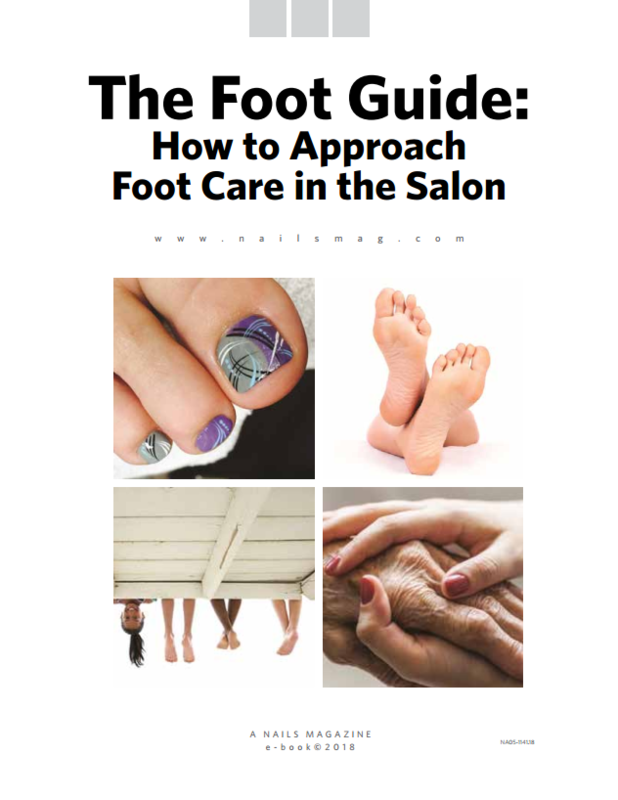 Download our ebook on how to approach foot care in the salon.